If you remember the device Peel 520 device I covered back in July that converts your iPod into a phone allowing it to send and receive texts and voice calls. Well its makers GSLO have now applied to Apple for entry into their MFi program that would allow them to then license Apple tech and use the ‘Made for iPod/iPhone/iPad’ logos on their devices. 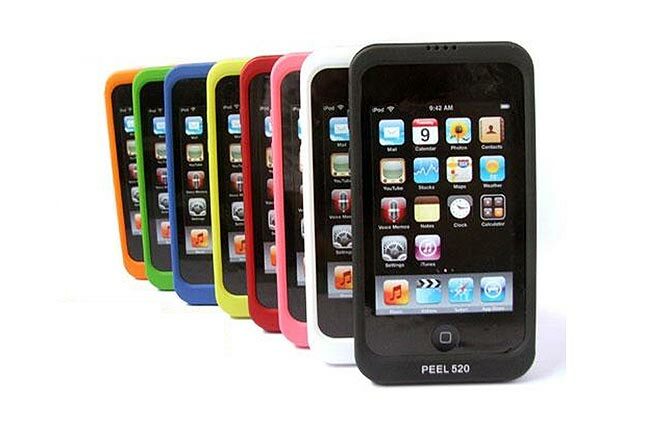 Built like a rubber bumper case the Apple Peel 520 adds the phone function to your iPod Touch providing 4.5 hours of call time or 120 hours of standby. It could be touch and go with Apple as to whether the company will receive membership to the program, but as the iPhone and iTouch are so popular at the moment Apple may unfortunately not allow it.